Good afternoon everyone, it is so good to see so many Green Party members here today in beautiful Napier. I also want to thank again Pukemokimoki Marae for hosting us and for your wonderful hospitality. A lot of you here I’ve known for a long time, but I know there are also some new faces here as well, and to those people, in particular, I want to extend an especially warm welcome. Our summer policy conference is always a great gathering, and part of what makes the Green Party unique. It’s where we get together and share ideas about our party and our country, and reflect on where we’ve come from and where we’re going – it’s pretty much every political nerd’s dream. I guess that’s why I’m so glad to be here with you! I am proud to be a political nerd and you all should be too! This year’s summer policy conference is of course in some ways a little different to previous ones. Well, there is one really big difference actually. We are all here today as members of a party that for the first time ever is part of government. And it’s thanks to the commitment and dedication of our members, all of you here today and thousands more all over Aotearoa, that we got there. I think you all deserve a round of applause for that. For the first time ever, we have Green Party Ministers, who are thriving in their portfolio areas. We are working on issues that the Green Party and its members have cared about and campaigned on for decades: preserving our conservation estate, tackling climate change, delivering pay equity, ending domestic and sexual violence, providing better public transport, and overhauling our waste system so it takes care of our planet. And that means real progress on the issues that have defined us as a party is finally possible. We’ve reconvened the pay equity group so that women can finally be paid what they deserve. And just this week the Government announced a law change that will help ensure future legislation complies with the Human Rights Act – that’s long been our policy and that couldn’t have happened without the Greens in government. All of this in four months, and that’s just what we’ve been able to talk about publicly. Believe me, there are a lot of exciting Green announcements in the pipeline, including in the upcoming budget, which you’ll be hearing about very soon. We are grabbing this opportunity in any way we can. Because the rewards of being in government are too great to sit on our hands and watch the world go up in climate-change induced flames. When I signed the Confidence and Supply agreement with Prime Minister Ardern in October, I did so with excitement, hope, and pride – but also with some trepidation. It wasn’t because I didn’t think we had the people who could be outstanding ministers or a Caucus and membership who would keep us grounded – we are fortunate to have all of those things. It was simply because we’ve never done it before. Every day, we are stepping into the unknown. And we all know that when you do that, there will inevitably be some missteps. In some ways, all of us – our ministers, caucus, and members – are learning on the job. We are still government apprentices, but I’m confident that before too long we’ll be master builders. The reason this will happen is because of the nature of our Confidence and Supply agreement with Labour. The fact that the agreement allows us to object to our governing parties’ policies, like the CPTPP for example, is by design, not default. We signed it because we designed it. And we designed it so we could stay true to our values, to the values of our members and our party. It means that alongside our ministerial influence, our caucus and party membership have an important part to play. Or Golriz Ghahraman on the TPPA and human rights – this is all critical to keeping our movement strong and vital. We will continue to be the party that pushes the most progressive political agenda in Parliament and beyond – that is my commitment to you. We’ve also learned from the mistakes of other smaller parties who have gone into government as full coalition members. I know some of you in the room will remember what happened to the Alliance. It’s what can happen to a political party when it becomes severed from its roots. I can see how something like that could occur. And too detached from what’s happening in our towns and cities. And in our party branch meetings. As Greens, we have always prided ourselves on how democratic we are. We are the most democratic party in Parliament by a long way. And there’ll be another example of that tomorrow when our fantastic female co-leader candidates take to this stage. We’ve always prided ourselves on being campaigners and activists. We are the people who go to rallies, who sign petitions, who try to influence those with power to make the right decisions for our people and our planet. We are still that party. The difference is, we are now also a party of government and we have power and influence. This is our time to use that influence. But what I want to make clear is that we will be doing it in a way that stays true to who we are as a party. With that in mind, today I’m announcing two new policies that I think show how the Green Party will do government better. They are about holding ourselves, your Green MPs, to a higher standard – a standard that our membership can and should be proud of. We have long thought of ourselves as the champions of open and honest politics. So, we have now decided to extend that philosophy of transparency into our Ministers’ offices. Starting soon, Julie Anne, Eugenie, Jan and I will proactively make public our ministerial diaries every quarter. This means that you, our members, the public and, yes, the media will know who’s met with us and when, and the purpose of that meeting. Similar disclosure systems already operate in the UK and some Australian state parliaments, but this is a first for New Zealand. At times, it feels like access to politicians, particularly ministers, is the grease that keeps Wellington’s wheels rolling. Lobbyists, CEOs, NGOs, and individuals want to be able to walk into any minister’s office at any given time, and push their cause or their case. Well, we think it’s about time New Zealanders know who’s in those meetings and why. It’s a small but important step to keeping our politics honest, and I’m proud the Green Party’s leading from the front on this. The second thing I’m announcing today is that Green Party MPs, Ministers and staff will not accept corporate hospitality. Some of you will know that being invited to sit in corporate boxes at rugby matches, or receiving free tickets to the theatre, or having an all-expenses-paid dinner, is par for the course for many MPs. In fact, some MPs view these things as a delightful perk of being elected to office. These free-for-alls are usually paid for by large corporate organisations, but also sometimes by individuals and NGOs. The problem is they’re not actually “free”. These organisations aren’t shouting the corporate box or the tickets or the dinner out of the goodness of their hearts. They are doing it because they want to know there’s someone in Parliament or the Beehive who’s looking out for their interests. Generally speaking it isn’t community-based organisations or environmental groups that have the resources to do this kind of bidding. They’re not usually organisations who advocate for the homeless or for single mums; or groups that are fighting to protect our water, or our native bush. They’re not organisations that have stopping climate change or ending child poverty as part of their KPIs. They are usually deep-pocketed corporates, or lobbyists acting on their behalf, who have a financial interest in preserving the status quo. Well, preserving the status quo has never been what we’ve been about at the Green Party. And why should organisations or individuals with more money have more influence in our democracy than those that don’t? There is something about that which feels inherently wrong. It is, quite simply, the purchasing of political power; well, I’m here to say that political power should not be for sale. Green Party MPs, Ministers and staff will be able to accept invitations to events, but they will pay full price for their tickets. Green Party MPs, Ministers and staff will be able to attend dinners, lunches or coffee meetings, but where we can we will pay for our own. Again, this is another small way that we can show that the Green Party is committed to doing government differently, and doing government better. It is a great honour that our members, through their elected delegates, backed us to go into government for the first time ever. It is a privilege that neither I nor my colleagues take lightly. As I said at the beginning of this speech, we are still in the very early stages of learning how to be an effective part of government. It was never going to be an easy lesson; nothing that’s worth doing ever is. But the opportunity to make real, lasting change, for our people and our environment is right here for the taking. The new transparency measures press release is here. Transparency in Government. Ideals in action. James continues to impress. The two candidates standing for Co- Leadership are also of excellent calibre. I just read this speech and I think it is brilliant in the way it is grounded and at the same time it aspires. If it was indeed a speech on behalf of the party and not (just) the opinion of James Shaw and a select few I believe we’ll see many great things coming from the Green Party in the foreseeable future. Bring it on! I thought another very good speech from Shaw, lots of frog whistling in there for those that want to hear it. I take it as the GP co-leader talking to. the people in the part that develop policy, so yes, I see it as indicative of where the GP is heading. Climate change emissions and truck increased use is now found to be really occurring as trucks are dirty emitters of climate emissions/carbon. In 2018 after Napier has now become a “truck gridlocked” community with a large export port and over 90% of all export freight is still carried on trucks we are now so desperate for a safe quiet environment we have now referred this issue back to the Ministry of the Environment after 18 yrs of no solution yet being offered. We have asked for a inland port to transfer the freight onto rail to Napier Port as it was recommended by the Parliamentary Commissioner for the Environment in 2006. Dear Ministry of the Environment. 3/3/18. As you may already be aware, we have over the last 20 years, we all have had extremely serious public health related issues regarding urban residential communities who are constantly exposed to adverse health effects from heavy truck traffic passing through their urban areas on a ‘truck route’ highway that very often in NZ has inadequate mitigation measures to protect the health and well being of those communities. As it is the policy of a Government to advocacy and to seek solutions through public and local input and consultation, as defined by the Court of Appeal 1992!!!! We have been involved heavily in that process since our communications to you since May 2002. Since then, we have been gathering evidence, reports and results of air quality studies independently conducted in coalition with Watercare Services, NIWA, HB Public Health and Ministry for the Environment, through the technical assistance of your staff. Your staff has requested that we keep an open communication line to them, and that they would assist, as able, to resolve the issues of concern. 1.	speed reduction to kph on Highway 50 as it passes through west Cities residential suburbs. 2.	smooth road surfacing to reduce tyre particulate pollution. 4.	return road freight to rail through Napier to the port. We held a series of meetings with our local City and Regional councils, which resulted in the regional officers agreeing to put the matter before Council, in a bid to have those measures supported. A press release from the Council came out on 25/2/03, supporting in principle our request for reasonable mitigation. We had the support also of our Regional Chairman, and a Councillor, previously involved in health issues in central government. Unfortunately, the following day in council, a majority voted against supporting those measures, which quite honestly left us gutted. After other meetings with our City Council Mayor, the Mayor did agree to write a letter to The road controlling Authority (then in 2003) Transit NZ supporting a speed reduction to 70kph. Quote; “the problem has arisen because prior to the expressway’s construction, the local council allowed residential developments to abut the proposed road. Important to note is that two of the mitigation measures, 70kph speed and smooth road surface, changes to planning have to be instituted ahead of the completion of that road upgrade, or else it would be cost prohibitive to promote later. Therefore, we would request that you allow us this remaining time to seek further support prior to instigation of legal proceedings, noting that it is highly likely that this route may be required if councils do not offer adequate mitigation for the health and well-being of our community. We hope that this further information to you addresses paragraph 3 of your letter dated 11/2/03. We are very sincere in our desire to resolve these health issues in any means available to us and support for environmental legal assistance, should it finally be required, is vital as a means to protect the health and well being of our community. The current truck ‘movement’ counts for every 24hrs on the Napier south end of the HB Expressway is now on 3rd March 2018 is at a whopping 2489 trucks every day average when in 2001 we measured 997 every day. Cleangreen. Good luck with that. Similar issues are arising with the Expressway SH1 RONS from Otaki to North of Levin. 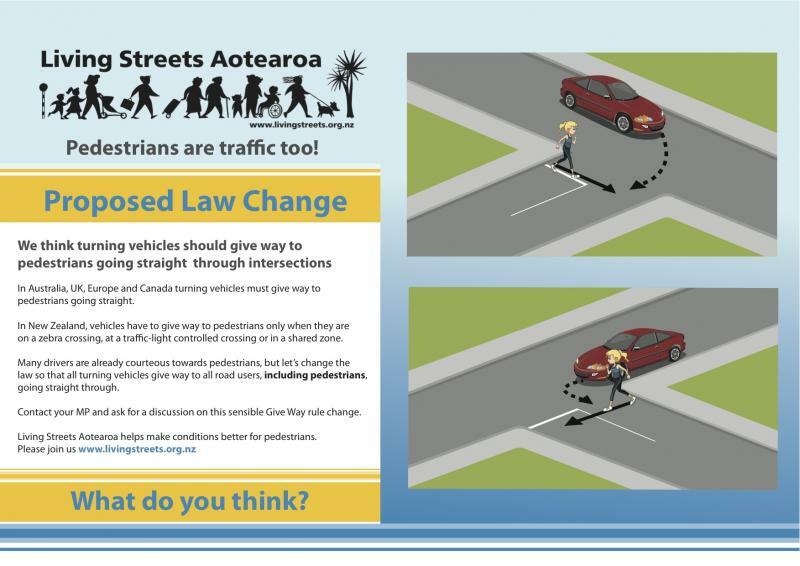 NZTA are trying to ‘consult’ and tell the locals what to do at the same time! lol. The truck and traffic congestion is objectionable now and will only get much worse until the expressway is completed in at least 7 years. The locals are not impressed and the project is at a crucial phase. Confidence in NZTA competence is low. This is why I voted Green. Again they seek to lead the way in the open Ministerial Diary plan. It is clever because it will get news coverage and further highlight those Ministers who are not. Not waiting for it to become law but setting the standard of behaviour in advance. It is possible to behave to a standard higher than the low standard the law sets.